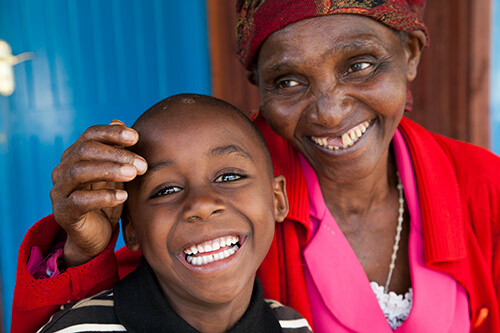 A child and his grandmother attend a health clinic in Nairobi. Photo by Clare McEvoy/Trocaire. NAIROBI, Kenya—Kenya’s national and county governments are allocating more funds—in absolute terms—to the health sector. However, despite increases, the total health sector allocation remains below the Abuja target, to which the Kenya government has committed. The Abuja target refers to an international pledge that urges governments to allocate at least 15 percent of their annual budget to improve the health sector. County health budgets, as a proportion of the total county government budget, are also falling short of targets. In fiscal year (FY) 2016/17 most counties were below the 35 percent allocation to health that was recorded before Kenya’s historical devolution, when in 2013 the national government began devolving authority and function out to 47 newly created counties. Increase the proportion of the annual budget allocated to the health sector to move closer to the Abuja target. Counties should further increase the amount they allocate to health to at least the 35 percent average recorded before devolution. Reduce allocations to personnel emoluments (i.e., wages and benefits) to the recommended 50 to 60 percent of the recurrent budget to free resources for other critical health inputs. 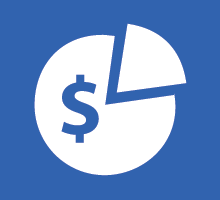 Increase allocations to development to cover more of the programs currently being funded by donors to reduce gaps that may arise from declining donor funding. Helping Kenya to achieve these goals, HP+ is supporting the development and implementation of the country’s health financing strategy, promoting domestic resource mobilization, and fostering increased engagement by the private sector. At the county level, HP+ is collaborating with the government and in-country partners to build the capacity of county health management teams in program-based budgeting—an approach that ties funds to priority health areas, allowing counties to increase their health sector allocations.